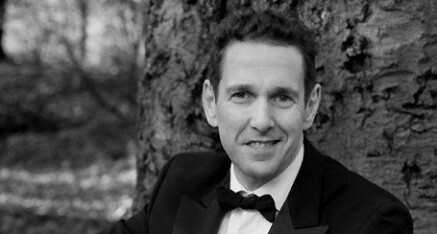 Iwan Llewelyn-Jones’ repertoire is wide-ranging with a particular affinity for Welsh and French music. He has always maintained a strong commitment to promoting new music. Several solo works have been written for him including Alun Hoddinott’s Eleventh Piano Sonata (1993), ‘A Starlit Dome’ by John Pickard (1996), ‘Endless Song’ by John Metcalf (1999), Lowell Liebermann’s Seventh Nocturne (1999), Karl Jenkins’ ‘Boogie Woogie Llanoogie’ (2001) and ‘Etudes’ by Pwyll ap Sion. His disc of solo Welsh contemporary piano works entitled ‘Welsh Portraits’ was released in 2001. In 2005 the Welsh Guild for the Promotion of Music presented him with the Sir Geraint Evans Award in recognition of his significant contribution to Welsh Music. Iwan was awarded a Creative Wales Scholarship from the Arts Council in 2007 to study contemporary Welsh solo and chamber music.